Sandwisp carries herself across the moor as if she is floating, her paws light and her weight pressed in such a way that gives her a bounding appearance even in her shorter strides. The wild grass around her bend and straightens with the breeze, shifting through waves of dark and light green in a ceaseless ebb and flow; it's all thick and tall now in the latter half of newleaf, and while fresh-kill is in no short stock, greenleaf would bring even more to hide within the stalks of grass. StarClan typically blesses their territory with an abundance of prey in the warm season and even well into leaf-fall; she expects the coming seasons to be no different. In the she-cat's jaws, however, is not any hare or mouse, but the thick, leafy stalk of a milkweed plant. It has just begun to bloom, its bushel of buds towards its top having started to open and reveal the rosy and white petals of its small flowers. She is careful not to seal her fangs too roughly however, as milkweed when ingested could prove to for a wildly upset stomach and rather poisonous when ingested in larger doses. 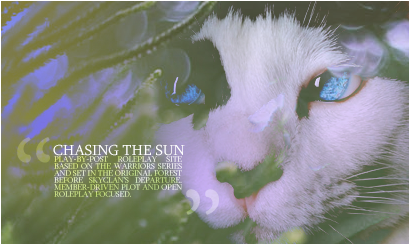 She knows, however, that the broad-leaf plant is good for sores and some burns, and, being that she had secured it from near its root, it would provide multiple uses for WindClan's medicine cat. When she enters camp, a few turn her way, a couple making faces. Sandwisp hardly pays any notice; this would not be the first time she has returned from an outing without fresh-kill, herbs in maw. She finds that opportunity in any form should be taken advantage of; this case in particular having been the capture of the milkweed stalk. And, what's more, herbs are a little easier to seize being that they do not have the capacity to flee on sight. Sandwisp passes into the familiar den, slowing her airy gait to a halt as she glances around for a familiar, dark silhouette with her jade eyes. Setting the rather comically large stalk at her paws, the slightly ticked warrior curls her tail and perks her ears up curiously. "Beetleberry? I've brought something for you." She calls, hoping that it is he present and not his apprentice Flurrypaw. Not that she has a problem with the latter, but she would prefer the former. Sometimes the ghosts of medicine cats past lingered in his dreams. Never truly, and never long enough to speak; they had long since stopped attempting such things. However, he could feel their presence in the dark. Watching him, hiding from him. Good. It was the way it should be, these cats who followed their leader like the little puppets they were, who refused to acknowledge their own power. He would show all of them how wrong they were. How the apprentice they had laid in his paws would continue the tradition he was starting, how warriors would soon start to see what he believed in as the absolute. The power of herbs and control of life and death through more than just claws would, in the end, prove absolute. However, if he was going to excel, he needed to start focusing on what he needed to achieve. That was what the darkness told him as he dozed, curled into a tight ball in his nest, the scents of herbs wrapping around his frame like a comforting pelt. His apprentice’s scent was well and truly stale, always somewhat a relief. It was just the herbs there to comfort him. Slowly, the tom’s green eyes flickered open, his mind well and truly conscious before such an event occurred. In many ways, he already had things in progress. He knew who would be useless and get in his way; the cats he needed to rid WindClan of. To some degree, he already knew who he could work toward his cause. Flurrypaw’s training was coming along just fine, and while he had yet to have a lesson, Redstar’s confirmation that she could teach him to fight still hovered in the back of the medicine cat’s mind. It was just a matter of where to focus the most of his efforts first. In many ways, if StarClan had been on his side, he might have taken the familiar scent wafting into his den, mixed with milkweed, as a sign. Instead, he took Sandwisp’s appearance as a coincidence, and slowly started to untangle his dark limbs as the warrior’s voice called out. "Beetleberry? I've brought something for you." 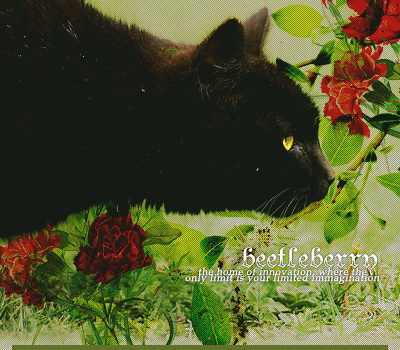 Slowly, Beetleberry rolled onto his stomach, and eased onto all four paws, arching his back as he did so. The medicine cat’s claws unsheathed, digging into the moss for a long moment, before he eased them back, and turned toward the main den. “Is that milkweed that I smell?” He asked with a slight sing-song quality to his tone, the façade he knew so well slipping on like water over his pelt. The black tom’s green eyes focused sleepily on the she-cat as he moved, and the tom made no attempt to straighten or walk anything less than the heaviness that continued to linger in his muscles from the sleep. It all fit in with the act in the end. Sure enough, however, the milkweed was at her paws. 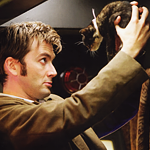 Sometimes he wondered exactly how much the she-cat had picked up over time. Then again, given Riverstorm still stood proudly as her father, maybe some knowledge just came inherited from it. The tom reached down and carefully picked up the herb. It would be perfect for a concoction he wanted to try on the next useless cat who came in with a deep enough scratch. Turning, he moved toward the stores, beckoning Sandwisp after him with a few tail flicks.